Get all the capabilities you need in a single platform that works with all your applications. No need for integration projects to connect tools or third parties for machine learning and analytics. Start small and scale fast with the lowest cost per bot in the industry, no hidden fees, and predictable cost of ownership. Start performing like a data-driven business. Automate work that’s too complex for rules with native AI that learns from high-volume data and exceptions. WorkFusion’s RPA provides bots for any type of application or data. Automatic bot load balancing delivers elastic capacity, eliminating idle bots. Our industry-leading 5-to-1 FTE-to-bot ratio gets more work done with fewer desktops, resulting in the lowest infrastructure cost in the industry. Centralized credentials management supports data privacy restrictions across geographies. WorkFusion’s Everyday AI allows you to easily apply machine learning to processes that contain unstructured data. Our built-in Process AutoML quickly trains on your unique data sets, in your secured environment, operationalized in your processes — without the efforts of a data science team or costly third-party integrations. Lightweight but robust workflow capabilities that allow users to configure end-to-end processes and automate the routing of work to the right bot or person at the right time. Bots can complete work and hand it off to people, and people can complete work that they hand off to bots, all within the same process. Digitize image-based data in any language with built-in Optical Character Recognition (OCR), which can be added to any process. Focus OCR on its core capability of converting images to text for higher overall impact. Go from Excel hell to dashboards to make data-driven decisions. Get insights from your bots, people, and process data so you can predict costs, quality, capacity, and productivity. SPA’s analytics provide a single pane of glass on your entire operation. Learn more about Smart Process Automation. Talk to us about how SPA can drive operational efficiency and superior customer outcomes for your business. 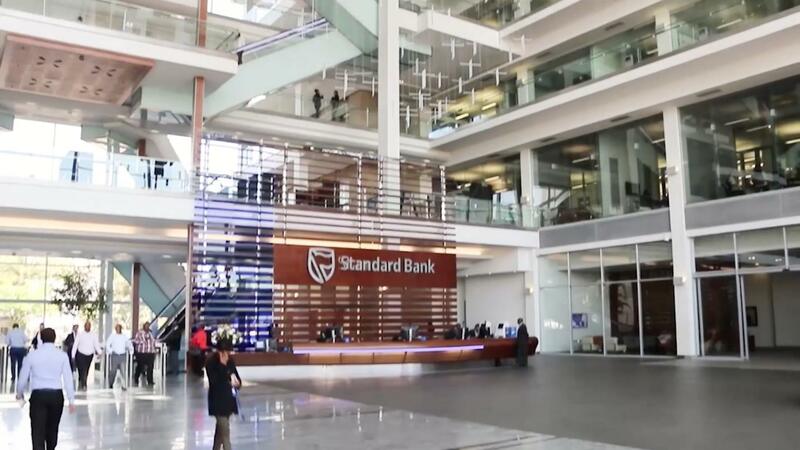 How Standard Bank cut customer onboarding from 20 days to 5 minutes. The operations and IT leaders of Africa’s largest bank discuss critical automation capabilities, how they put them to work to digitize the bank’s operations, and why they chose WorkFusion SPA over any other RPA software.